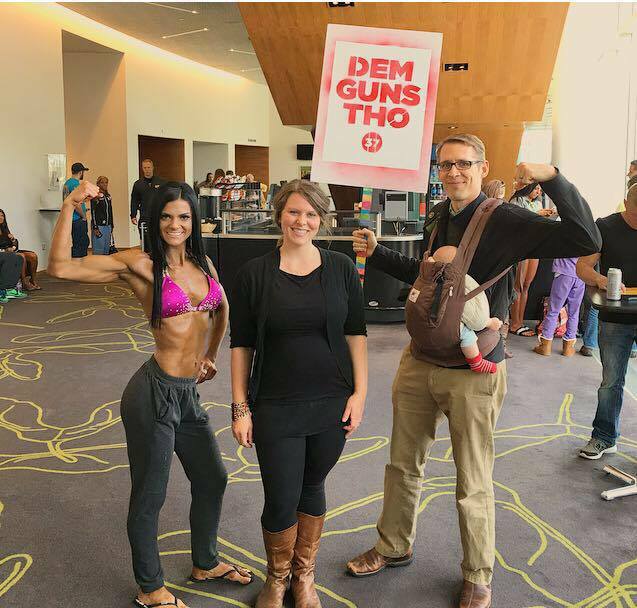 I just wanted to pop in and say a HUGE Congratulations to my sister, Melissa, who competed in her first bodybuilding competition yesterday. She came in First place in Novice Class E and Second place in Open Class E. We are so very proud of the hard work and determination that she has shown over the last 6 months as she has diligently prepared for this day. It is only by the grace of God that she has had the strength to get through the grueling workouts and intense diets. It has been an honor to see her grow spiritually over the last year and are so proud of the woman that is shining through.